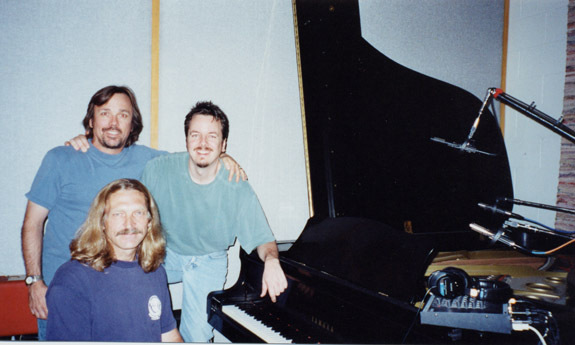 Recorded at Mad Dog Studios, Burbank, CA. 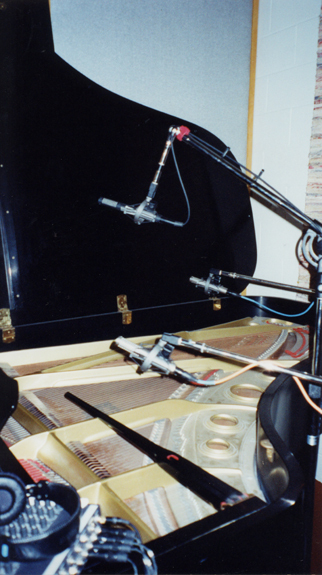 Grand piano in an iso room, lid fully lifted. Recording chain: SF-12 and R-121’s to Neve 8088 console preamps. Recorded to 20-bit ADAT. One SF-12 and two R-121’s combined; all mics mixed at equal level. SF-12 panned hard left and right, R-121’s panned soft left and right. No EQ, compression or effects.